Earlier this month, an awesome article from Huffington Post made the rounds on social media sites. Written by Vermont’s own Rev. Emily C. Heath, a minister in the United Church of Christ, it simply and decisively demolishes the right-wing talking point that “religious freedom” and “religious liberty” is under attack in the United States and at stake in the upcoming presidential election. I had intended to post it that week, but we were unexpectedly sidelined due to a family tragedy. I’m now back and getting caught up, and I’ve decided to link to Rev. Heath’s post anyway because, quite simply, it’s that good. In fact, it may be even more relevant now because we’re that much closer to the November elections. If you’ve seen the Religious Liberty Quiz already, ignore this post and hold tight, because I’ll be serving up more content shortly. However, if you’ve not yet seen it, you simply must. In fact, even those who’ve already seen it might find it worth re-reading, because the right wingers are sure to continue shrieking about so-called attacks on religious liberty, especially with marriage on the ballot in four states in November and the Supreme Court almost certain to hear challenges to DOMA and/or Proposition 8 this term. So are you ready to take Rev. 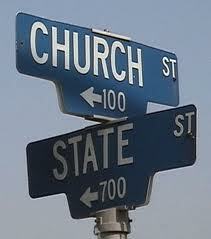 Heath’s quiz and find out how threatened your religious liberty is? Click here to head on over to Huffington Post and find out.